Every state has their own government-sanctioned authority that is in charge of college financial aid for the region. The New Mexico Higher Education Department located centrally in Santa Fe plays that role for the state of New Mexico, administering its state-funded scholarships and grants. The state college and university system of New Mexico is comprised of eight public and seven private four-year schools, and nine two-year community colleges, technical or professional schools. The New Mexico Higher Education Department is your best bet as you navigate this sea of options, having a very easy-to-use and helpful website full of financial aid information, college statistics, and access to scholarships and grant applications. New Mexico students with economic need have a number of state-funded scholarships and grants available to them. Of course, the first step you will want to take if interested in getting monies from the state whatsoever is filling out the Federal Application for Student Aid (FAFSA) which can be submitted online. This one form will give you access to a huge number of different scholarships, grants, and even loans available to students of the state. We have listed below a variety of the different award opportunities you may be eligible for, depending on your intended major, family income, GPA, college of choice, and other factors. Legislative Lottery Success Scholarships provide thousands of New Mexico students with generous funding for their college educations. Program such as this prove the wild success of state lottery programs and give many students a chance at college who wouldn’t otherwise be able to afford it. Eligible students must be state residents, enrolled in one of 25 public college campuses or universities in New Mexico and have a GPA of at least 2.5. 100% tuition funding is determined during the student’s first semester out of high school and begins during the second semester. You may apply directly through the school. More and more college students are falling under the heading of non-traditional. These students tend to be adults who have been displaced from higher education for any number of factors. Non-traditional students often face challenges in locating the necessary funding to return to college. In response to this problem, the state of New Mexico recently established the College Affordability Grant that offers the non-traditional student a financial leg-up, as well as any other type of student who is not eligible to receive other state scholarships or grants. The grant is for $1000/semester and can be applied for over eight semesters. Applicants must be able to prove financial need. Apply directly through the school and complete a FAFSA. For financially disadvantaged students interested in attending one of New Mexico’s public colleges or universities, or one of another half-dozen independent or technical institutions, students may qualify to receive funding between $200 and $2500 annually from the New Mexico Student Incentive Grant. Students must be enrolled at least part-time and demonstrate significant financial need. The state Legislative Endowment Scholarship is one other option for economically disadvantaged students to defray the high cost of college. Eligible students must fill out the FAFSA and be attending a public college or university in the state. Award maximum is $2500 for a four-year college and $1000 for a two-year college. Students may attend full-time or part-time. Those who maintain their grades and set their standards high may be eligible to continue the scholarship during all the years their tuition is due. New Mexico students considering attending the University of the Southwest or St. John’s College, may qualify for the Student Choice Grant. Eligible applicants must be able to prove dire economic need. Apply directly through the school and by filling out the FAFSA. Undergraduates receiving this award must be enrolled at least part-time in the school of their choice. Award amounts are determined by the school. Every state hopes to retain their most talented students in the hopes that if they study at home, they will become high achievers and leaders within their professions, in the long run helping to build a stronger state economy. 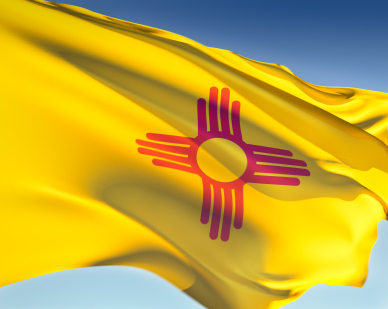 In such hopes, the State of New Mexico administers the New Mexico Scholars program. Students must be state residents and interested in attending one of the state’s public colleges or universities, or St. John’s College or the College of the Southwest. Recipients may receive funding for full tuition, fees, and books, and this is renewable if high academic standards are maintained. Students must have graduated in the top 5% of their class to be eligible for this special scholarship. The Robert C. Byrd Honors Scholarship rewarded the highest academic achievers by state, but unfortunately the program did not receive any further funding as of 2012, and it has been suspended. Out of state academic achievers are also eligible for New Mexico scholarships. The Competitive Scholarship awards eligible non-residents small stipends and resident tuition if they attend a NM public institution. Out-of-state recipients of the Competitive Scholarship receive $100 a semester in addition to the advantage of only paying resident pricing. You may apply directly through the school for this unique program. GPA criteria will be considered. Vietnam Veterans may qualify for a tuition waiver at any of the state colleges or universities, and/or St. John’s College and the College of the Southwest, through the Vietnam Veteran’s Scholarship. The option is available to both undergraduate and graduate students, and will cover the costs of tuition, fees, and books at the college of their choice. This one-time scholarship goes to the most financially disadvantaged students in New Mexico who are graduating high school and wish to attend a college either in New Mexico or in any other state. Students must have a 3.25 GPA at the time of graduation, be a first-time college freshman, and must file a FAFSA to be a recipient of the Education Trust Board Pathways Scholarship. See the New Mexico Higher Education Department for more information on this generous award. For students pursuing teaching careers or a health profession, the State of New Mexico provides a number of “loan-for-service” programs. Students participating in these programs are typically required to exchange work in an under-served or shortage area after graduation. This is a great plan for those who want a two-for-one deal of education and a career. New Mexico’s Teacher Loan-for-Service Program provides attractive tuition funding for those undergraduate or graduate level teaching students who are willing to commit to teaching in a state public school system following graduation. Eligible recipients must show both academic merit and financial need for funds. The amount awarded may be up to $4,000 per year. Apply by filling out the FAFSA through the school. If you are interested in this opportunity, you may also want to explore other national teaching scholarships. New Mexico students interested in pursuing a degree in nursing may explore the merits of the Nursing Loan-for-Service Program. Eligible students must be attending a state college or university and willing to exchange tuition expenses for a specified length of time working as a nurse in an under-served area following graduation. Nursing students must also prove financial need and academic merit, and a whopping $12,000 a year is available to recipients. Apply by filling out the FAFSA directly through the school. See other national nursing scholarships if you are interested in the programs that other states offer that are similar. The Allied Health Professionals Loan-for-Service Program provides tuition costs to those in-state students pursuing applicable health professions at a state college or university. Participants must agree to serve an area with high need upon graduation. Specialists in Dental Hygiene, Respiratory Care, and Physical Therapy are particularly sought after. Up to $12,000 a year is available for this program, and students may apply using the FAFSA and the Loan-for-Service application available on the website. Medical students enrolled in the University of New Mexico’s School of Medicine may be eligible for the Medical Loan-for-Service Program. Medical students must be state residents, show financial need as well as academic merit and be willing to practice in an underserved area of New Mexico following graduation. Up to $25,000 per year is generously available. See other national medical scholarships if you are interested in other programs like this. The Western Interstate Commission on Higher Education (WICHE) Loan-for-Service Professional Exchange Program provides deserving students with a chance to study at graduate programs in other states for which New Mexico may not have a viable option. Dentistry and veterinary medicine, in particular, are the two fields that New Mexico lacks graduate education in, so students who wish to pursue these fields may choose an eligible graduate school in another state and pay only reduced tuition through this program. As you can tell, New Mexico has a fully-stocked hub of opportunities for all of its students, no matter whether they are fully on track with a professional career or just getting started on the hunt for a major. The New Mexico Higher Education Department will be a great help to your search for funding, providing a financial aid calendar of events among other helpful tools. All financial aid details for these scholarships can be accessed in their entirety, with applications, at the department’s website. The Higher Education Department has information on a few of New Mexico’s loan waiver programs, too, such as the Public Service Law Loan Repayment Program and the John R. Justice Loan Repayment Programs, which will pay some of your loans for you if you agree to service to the state.